But even more worrying is that nearly one in three adults (29%) reveal they know they’re less safe behind the wheel as a result, according to new research conducted by Nissan. Parents say the level of distraction means they’ve taken their eyes off the road and their hands off the steering wheel. They also say they’ve run through red traffic lights, forgotten to indicate, braked suddenly, swerved into the next lane, and even been forced to stop the car completely. As a result, parents are increasingly turning to in-car technology in the quest to keep the whole family safe on the road. The research highlighted that avoiding distractions is one of the biggest concerns for parents when choosing which car to buy, with one in three (34%) saying they would actively look for driving assistance systems when choosing their next car. These could be automatic emergency braking, lane departure warning and adaptive cruise control. Crying and screaming tantrums top the list of kids’ misbehaviour (65%), followed by backseat battles between siblings or friends (58%), kicking the back of the driver’s seat (49%), undoing their seat belts (43%) and throwing toys around the car’s cabin (39%). It is no surprise that, as a result, parents say they regularly feel stressed and anxious when their kids are in the car. They admit they can arrive at their destination either late or in a bad mood, having had a fight with their partner or even experienced road rage incidents with other drivers. Many reveal they’re taking desperate measures to reduce the danger and distraction caused by driving with kids – 15% of adults completely avoid using motorways or busy roads when their kids are in the car, while others distract them with tablets or smartphones (37%), toys (41%) or sing-along music (53%) or keep them quiet with sweets (22%). 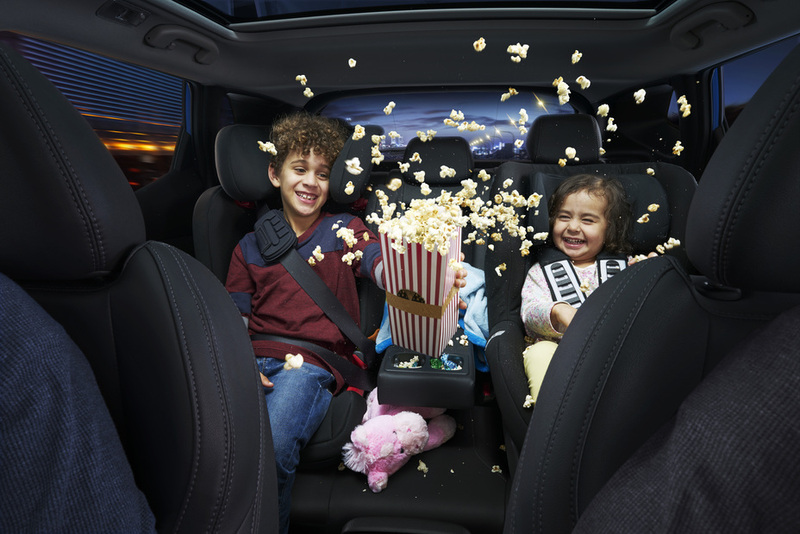 Jean-Philippe Roux, general manager, crossovers, Nissan Europe, said: “Any parent knows that family outings aren’t always straightforward. The smallest passengers often bring the biggest surprises when you’re trying to concentrate on the road, which can create a stressful time for the parent behind the wheel. Nissan’s most advanced driver assistance technology, ProPILOT, is one solution for a less stressful, more enjoyable driving experience. ProPILOT enhances the driver’s control and confidence by assisting with steering, acceleration and braking. It works in a single lane on motorways and is optimised for low-speed congestion and high-speed cruising. Designed to reduce fatigue and stress in everyday driving situations, ProPILOT can help improve safety. It is a ‘hands-on, eyes-on’ technology and the driver remains in control and responsible for the vehicle. ProPILOT is available now on the Nissan LEAF electric vehicle and will be available on Nissan’s pioneering crossovers – the Qashqai and X-Trail – later this year. Other available technologies include Intelligent Emergency Braking helps to avoid and minimise the impact of a collision. In congested streets and tight car parks, the Nissan Qashqai’s Intelligent Around View Monitor and Rear Cross Traffic Alert provide added reassurance when parking and reversing, warning the driver of moving objects around and behind the vehicle.